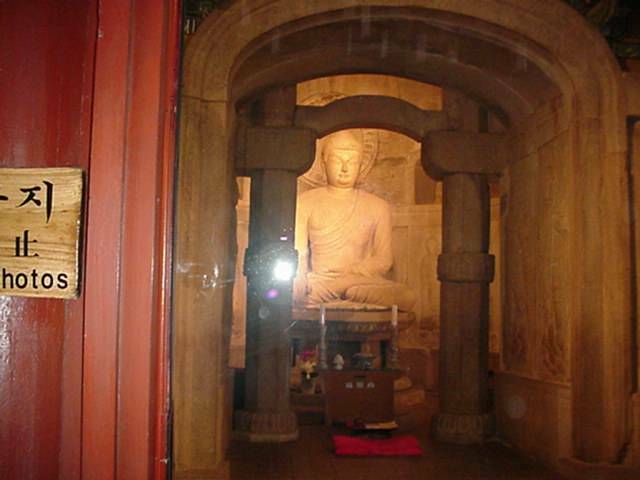 The Sakyamuni Buddha in Sokkuram Grotto was constructed in the 8th Century, left to rot in the Yi Dynasty, and restored in 1913 & 1961.
a public drinking well at Sokkuram Grotto. 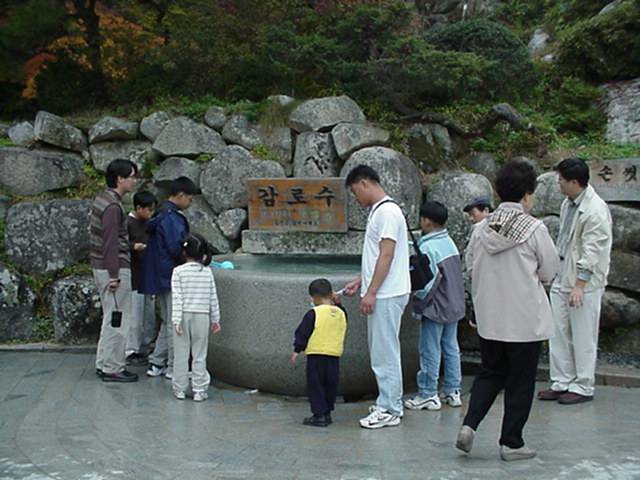 Such wells of spring water are popular in Korea. 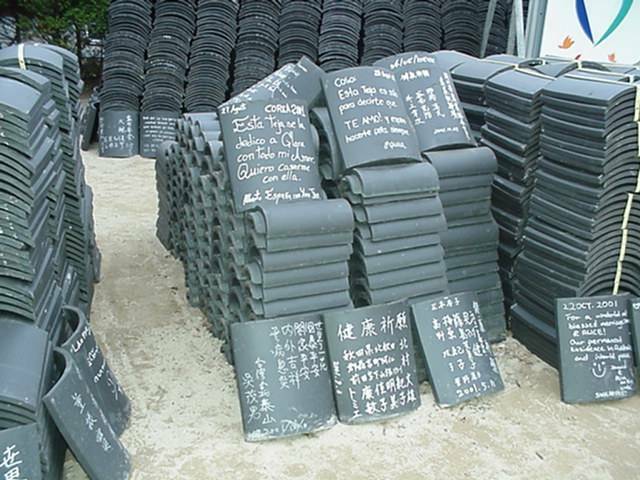 In both Korea & China, a popular way for monastaries to raise cash is to allow the public to buy a roof tile which they donate after adding their autograph. 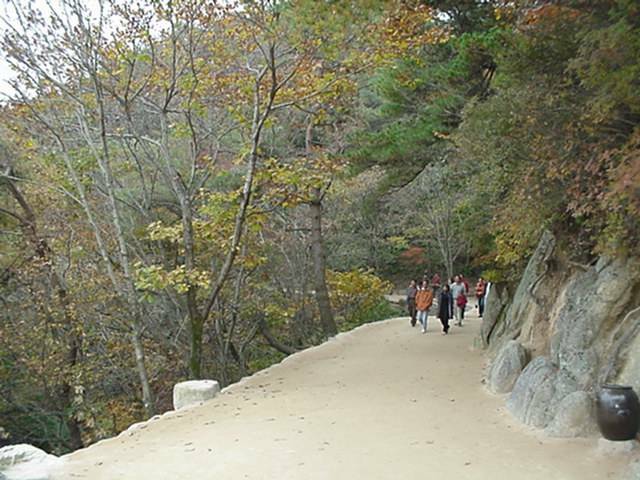 Sokkkuram Grotto. 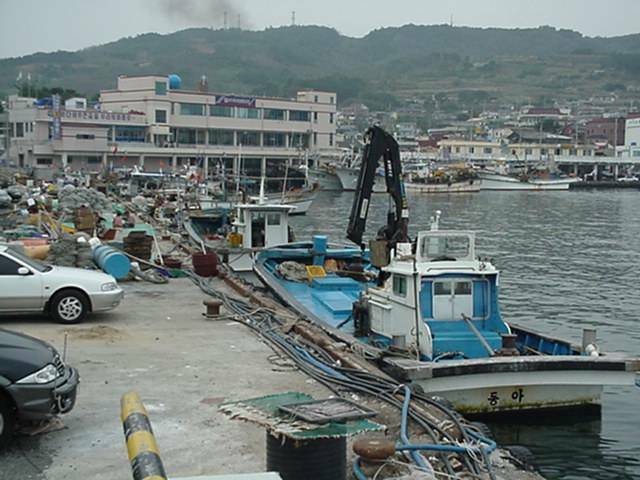 The small fishing port of Gambo is east of Gyongju. A lot of this coast is fairly bleak and exposed to strong winds, including occasional typhoons. 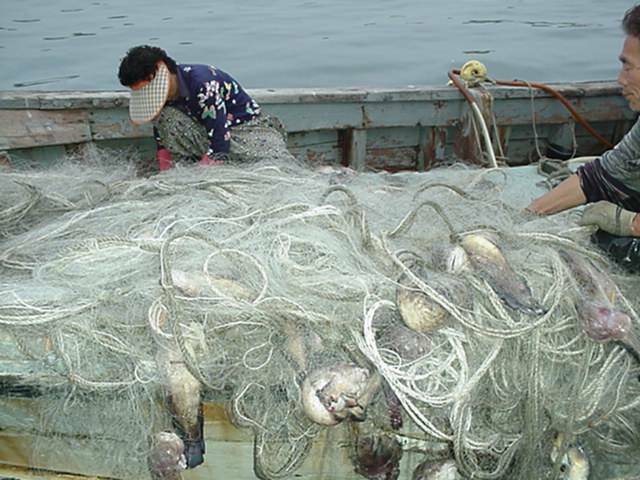 picking the day's catch out of fine nets at Gambo, east coast of Korea. 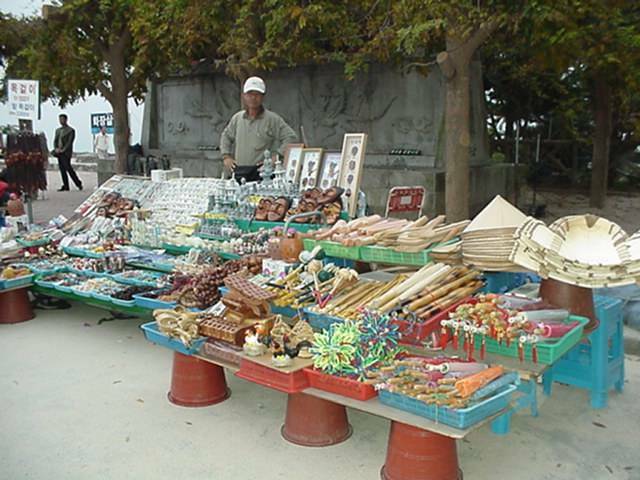 the Korean style of presenting raw fish is different from Japanese sushi (which is sliced). 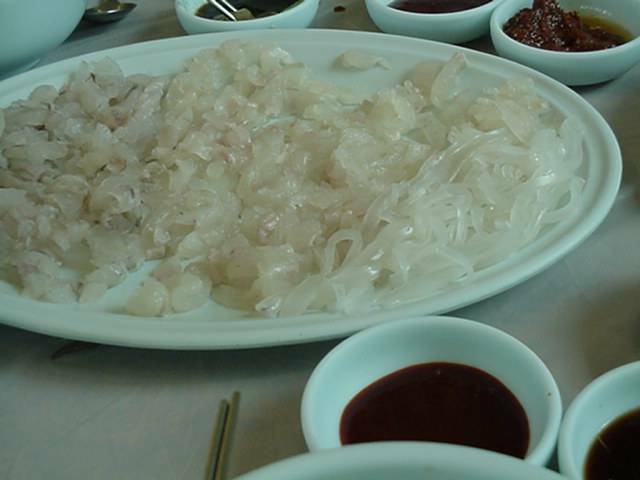 together with the raw fish comes a variety of side dishes. 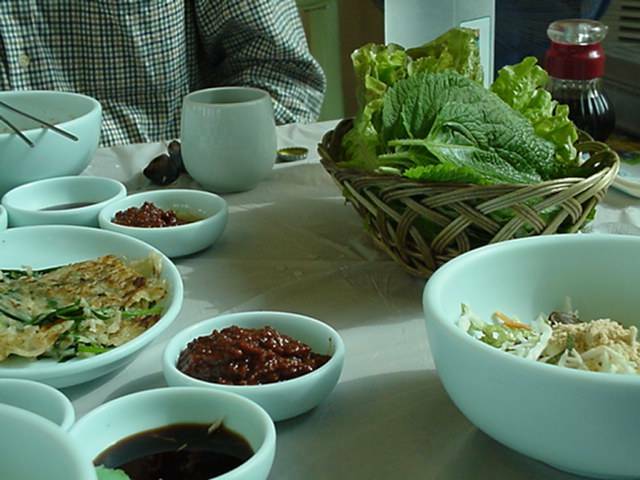 Korean meals often include various leafy green salads. 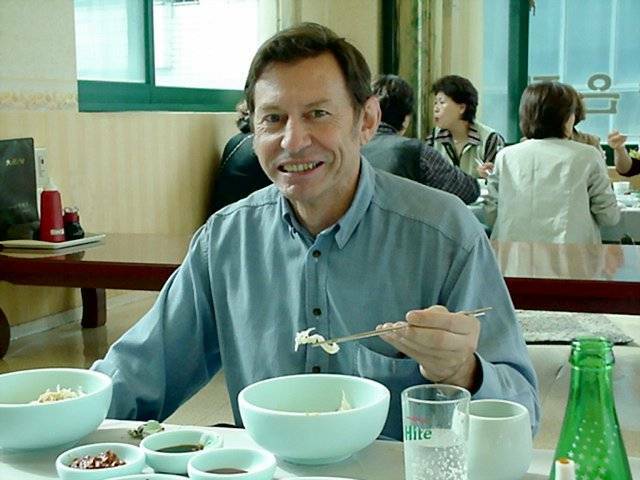 (as well as preserved kimchi). 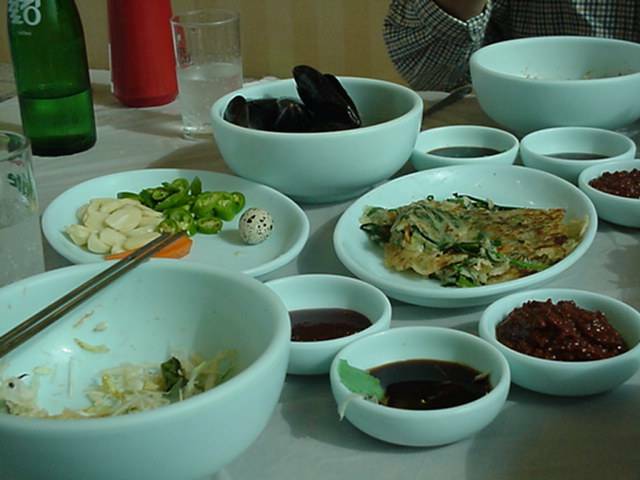 more side dishes to come with the raw fish meal. How many can you name? 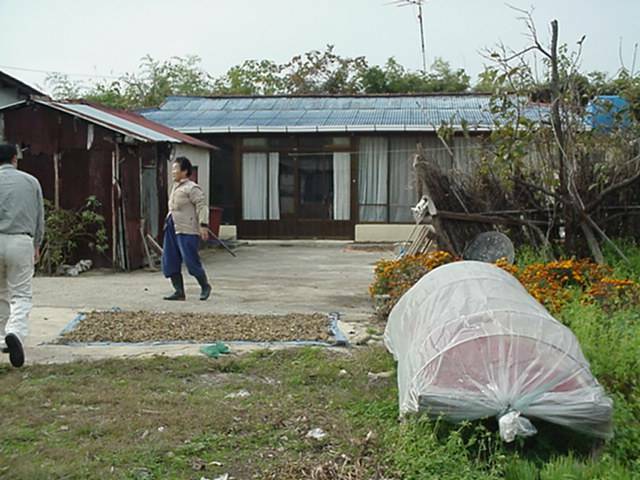 this is a modern farm house in a valley between Gyongju and the coast. 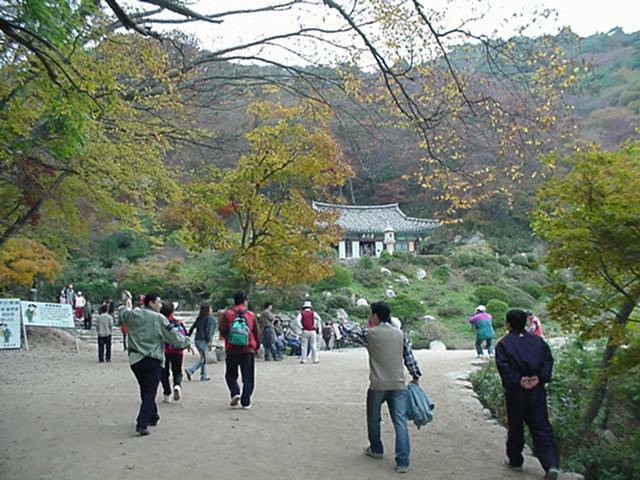 The children have departed home for professional life in the city, leaving elderly parents. A common situation nowadays. 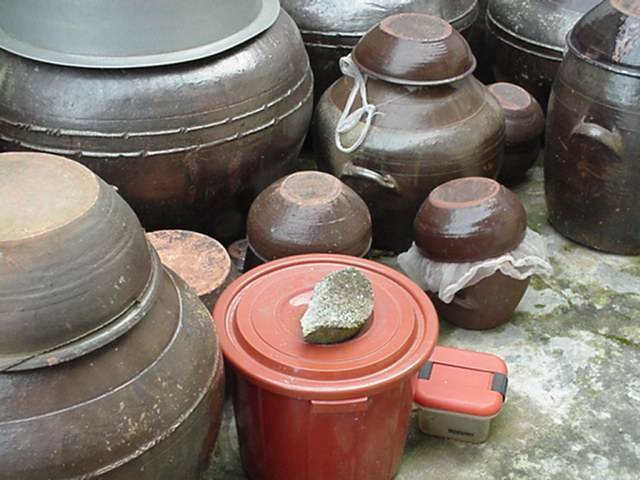 every farmhouse, indeed every house, seems to have clay jars outside for fermenting and preserving vegetables. The urge for self-sufficiency is strong. 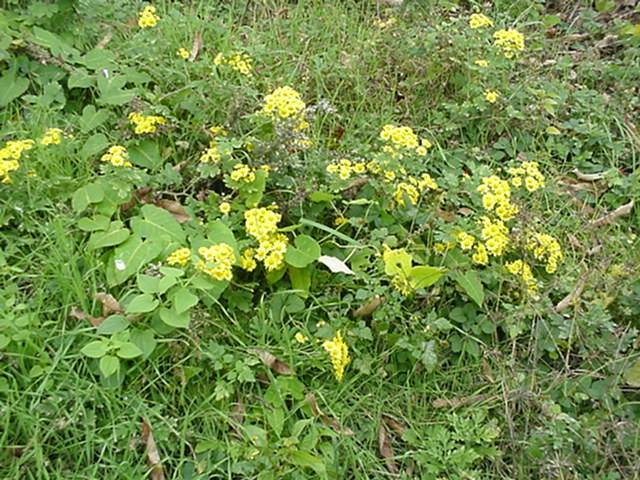 autumn flowers. The countryside at this time of year is quite beautiful.